Save Up To 40% At ThinkGeek! 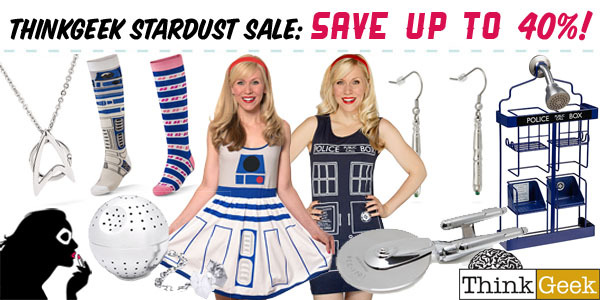 This is your last day to enjoy great deals on most Star Wars, Star Trek, and Doctor Who items over at Think Geek as part of their STARSTUFF Sale. With savings up to 40% off, you’ll definitely want to check this out before the deals are gone tonight!